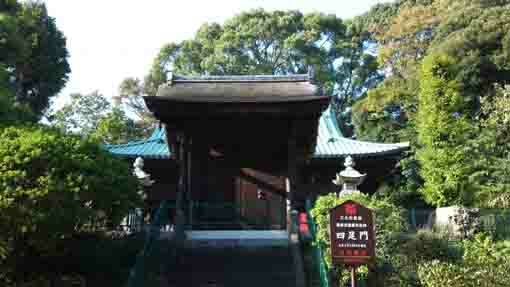 Yonsokumon Gate in Nakayama Hokekyoji Temple is standing on the center of a small hill on the west of Soshido Hall. 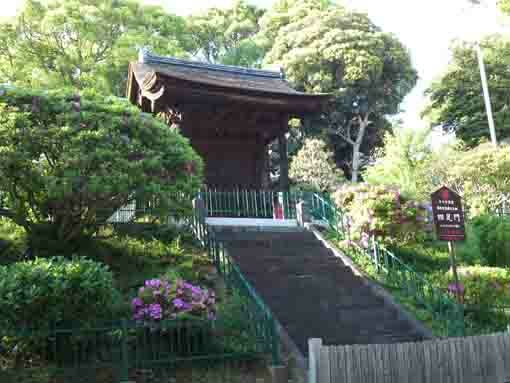 Hokkedo Hall is behind the gate. 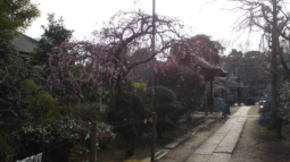 The views of them look that Nakayama Hokekyoji could had been in its beginning. 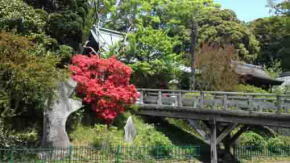 Of course, it is just imagination, it is not so far as Nakayama Hokekyoji was built in Kamakura and Yonsokumon and Hokkedo was built in Muromachi Period. 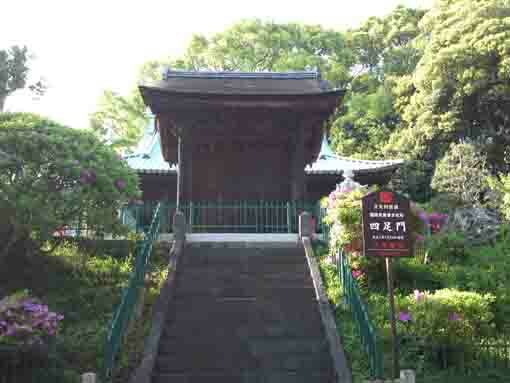 Moreover, according to the sign board beside the gate, Yonsokumon was moved from Aizendo in Kamakura, and Nichirenshu Kakuhonzan Meisho Zue (a guide book describing some headquater templss of Nichiren Sect) tells that Yoritsuna Taira said that he would build Aizendo in the western part of Kamakura. Though there is no adequate information whether it was built or not, it is an exciting place to see some old buildings built in the middle ages in Japan. Plum and azalea blossoms on the hill bloom and paint some buildings around them. Why don't you visit it? 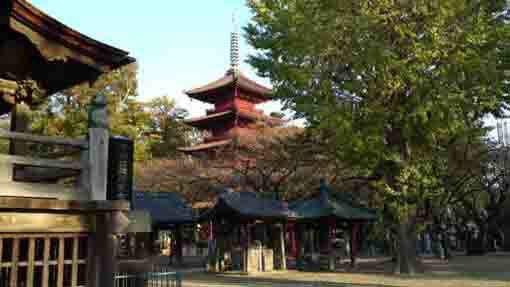 The four pillar gate is called Yonsoku-mon, means that the gate has four legs. 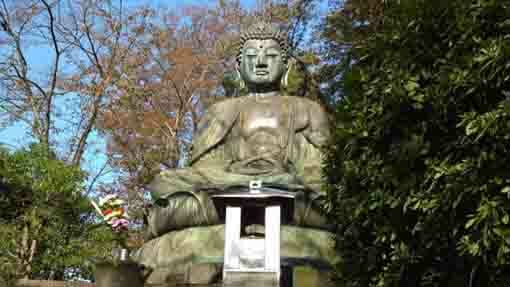 It was told that the gate might be that of Aizen-do at Kamakura in Kanagawa Prefecture moved to here in Nakayama. First it used to be the main gate to the main hall in Hokekyo-ji Temple. In Meiji Era, it was set on the place now on. 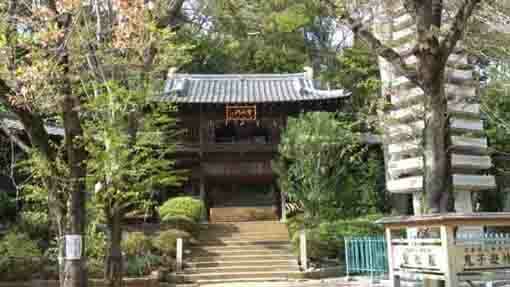 Considering of the architectural structure, it seemed to be built in late Muromachi Period. 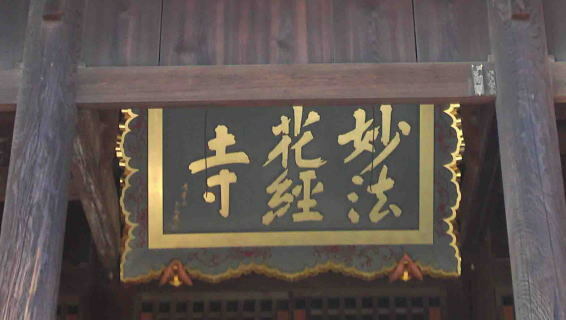 This gate is built with purely Zen-Sect style. The gate was designed with very rare structure that the main pillar stretched out nearly to the ridge and sub pillars stood on the both back and forth of the it are joined with the strong carved beam called Rainbow-shaped tie beams. There are no gate seen in Japan like this unique pillar that the shape of it is ellipse in section. In addition, the gate with decorated with many sculptures is another feature, it presents well patterns and shapes on were frequently used each in late Muromachi Period. The decorations carved to be seen from the front only, therefore this gate originally connected with walls on both side. 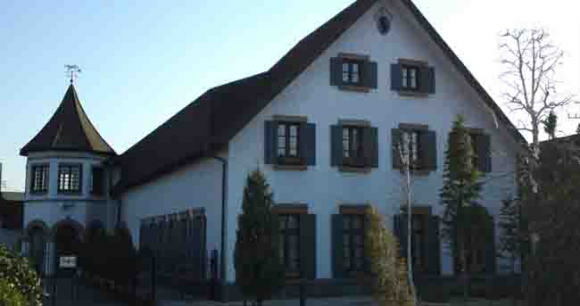 And Japanese style flat windows were adopted in its fixture to be given structural change. 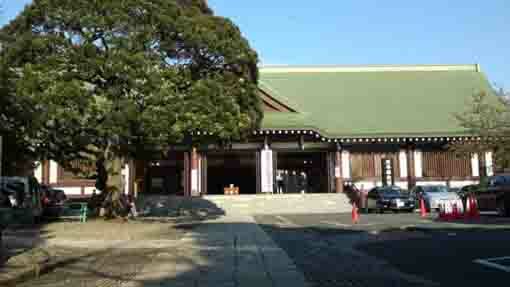 The pillars and beams were made with zelkova, and others were with hinoki cypress, cedar and cherry wood. The Yonsoku-mon gate was tore down and repaired in Showa 10th (1935) and almost all materials used on it were changed new one, but some materials could be used on were reused in it to restore the cultural property as possible as its original.